When you think "Marines," your mind conjures up images of fighting on the Pacific Islands of Iwo Jima and Guadalcanal. Or perhaps you immediately think of the Battle of Fallujah. Well, did you know that the Marines also train for arctic warfare? In fact, during the Cold War, portions of the 2nd Marine Division were designated for deployment to Norway. The Marines planned to send a Marine Expeditionary Brigade to Norway. This brigade consisted of three battalions of infantry in a regiment, a battalion of artillery, plus company-sized units of M1 Abrams tanks, LAV-25 light armored vehicles, and 1970s-vintage AAV-7 amphibious assault vehicles, two squadrons of AV-8B Harriers, three of F/A-18 Hornets, seven helicopter squadrons, and a squadron of electronic warfare planes. That deployment is making a comeback, but this time, F-35B Lightnings will replace the Hornets and Harriers. 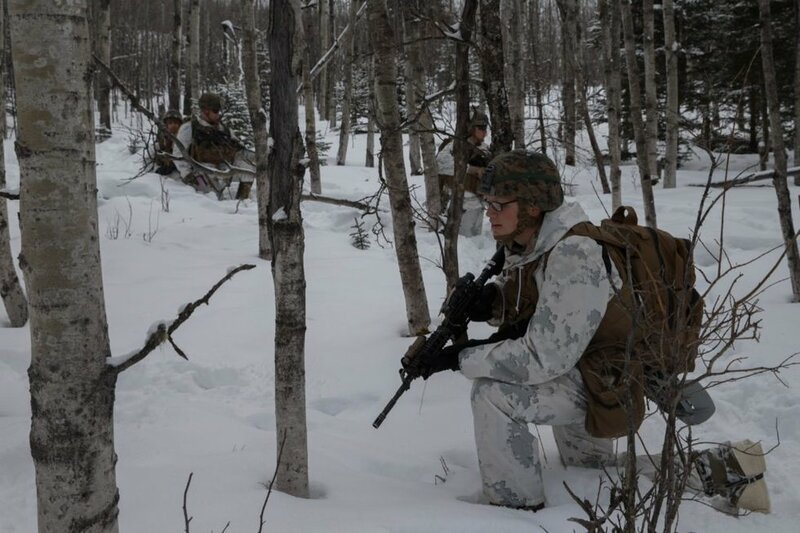 To get ready for that deployment, Marines are training for Arctic combat in places like Alaska. This is very beneficial, especially since the Marines may need some time to get familiar with the newly purchased M27. 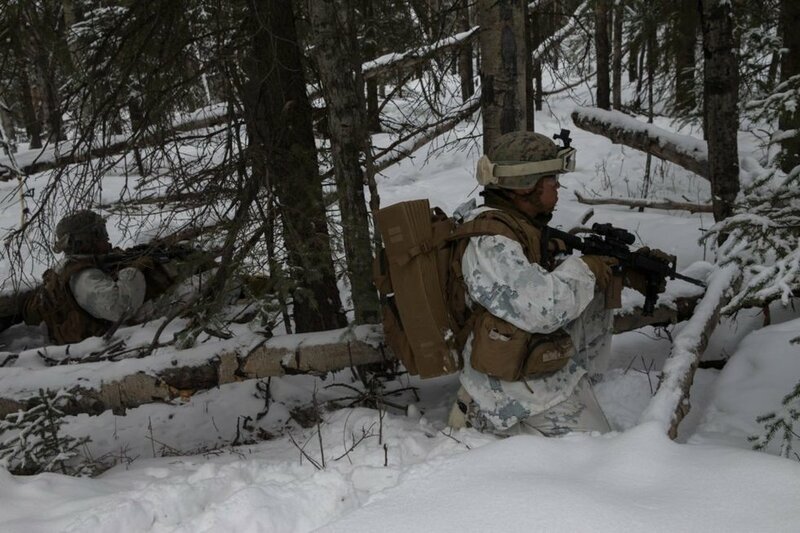 The Marines had used the M16, M4, and M249 in Arctic conditions over the years. The M27, however, hasn't time yet to iron out all the kinks — in fact, there was a recent hiccup with the M27 when it used Army-supplied ammo. While the Marines do have a round of their own, sometimes, in theater, you have to take what you can get. The good news was that the ammo problems were discovered during testing at the Aberdeen Proving Ground. Better to find out your rifle has issues during exercises than during a firefight. Now, Marines in extremely cold conditions will get a chance to see if the M27 holds up. See the Marines do their Arctic training in the video below!